The first meeting will be February 11. The group previously met in Rockwall as part of the Dallas ASG. 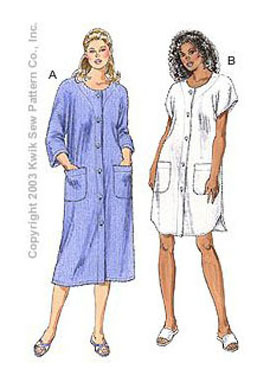 Feb & March meetings will be hands on sewing of Kwik Sew #3176 – a non fitted robe with either zip or button closure. Suggested fabric is 100% cotton. Bring machine, pattern, fabric and any needed supplies.